Visitor guide to Kilninver in Argyll is with information about the place and include details on accommodation and hotels in Kilninver. 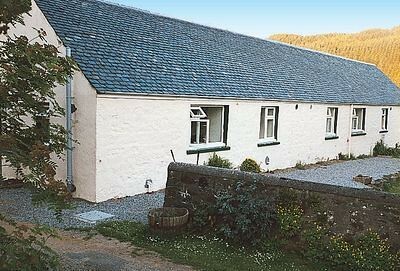 You will also find visitor attractions, how to get to Kilninver andself-catering cottages in Kilninver. Kilninver is located on the famous West Coast of Scotland just eight miles from Oban on the southern shore of Loch Feochan. The three rivers, River Euchar, Argyll and Bute lies here. This open hill country has lush green surroundings with woodlands and wildlife all making it great place for having walks and bird watching. Seil island is approached by the Bridge across the Atlantic which is four miles away. Here you can find few restaurants and hotels serving good food and comfortable stay. There are many ways to keep one busy and enjoying out here, try out golfing in the vast 18-hole golf course or chill out in the pool. Sea-fishing is also a great option which one can experience in Kilninver. Beauty is in abundance here with natural bliss and charming countryside. The cottages available are the best place to enjoy an exciting stay with all comforts in a beautiful ambiance. End-terrace stone cottage on the remote island of Easdale in Argyll. Sleeps six people in three bedrooms. Island with NO cars! 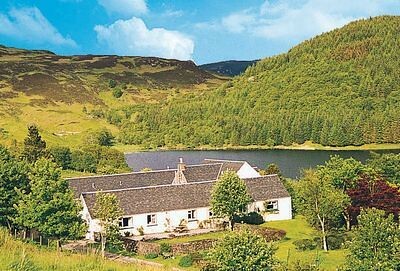 Detached house located next to a river on the west coast of Scotland and can sleep six people in four bedrooms.